The ZX 24 has plenty of room to fish 4 anglers comfortably. 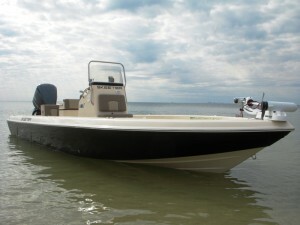 Although it is 24′, the boat still the ability to get into the shallows after the Redfishand Trout. So if your are looking to fish the flats for snook, redfish, tarpon and trout or hit the bay for mackerel, grouper and shark, the Skeeter ZX 24 is the boat to do it in.